The Motor and Vocal Imitation Assessment (MVIA) was developed to evaluate a proposed hierarchy of imitation skills that could be used to formulate an experimentally-validated instructional guide for intervention. 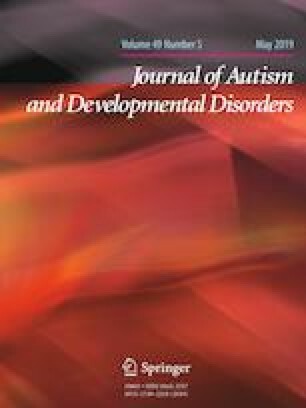 Imitation performance was assessed via the MVIA in 30 typically developing (TD) children and 30 children with Autism Spectrum Disorder (ASD). Children with ASD and TD demonstrated similar patterns of imitation. Children had higher performance scores in object imitation, followed by body, then vocal, and lastly facial imitation. The results revealed a pattern of imitation performance that provides the basis for an experimentally-validated instructional guide for intervention. This research was part of a thesis study and was presented as a poster presentation at the 40th Annual Association for Behavior Analysis International Convention (Chicago, IL) and as a paper in the Florida Association for Behavior Analysis Annual Conference (Bonita Springs, FL). Elaine Espanola and Anibal Gutierrez have contributed equally to the development of this study. EEA conceptualized and designed this study, drafted the manuscript, and approves the final version being submitted. AG contributed to the design, has reviewed and contributed to the current manuscript, and approves of the final version being submitted.